UFC 123 coming up in some minutes. Hope my boys Rampage and Phil Davis win tonight, but Quinton has a tough task and should be considered the underdog. BJ Penn vs Matt Hughes will be tough to watch as I like them both and want neither to lose. Not a fan of Matt Hughes, I hope that BJ crushes him, but BJ seems to be broken since his two losses recently. This was a great, great event. One of the best I've seen. Lots of finishes and my favourite fighters won. That fight should retire Matt Hughes. Machida has been figured out. Think BJ can win the title again, just not against Edgar, b/c Edgar is the perfect fit to fight BJ. Oh and GSP is going to rock Koschek. I give Koschek 2 rounds before he loses to a head kick. I don't see GSP using that much stand-up. He'll pull a decision, once again. And I think a proper BJ could beat ANY Lightweight in the world. 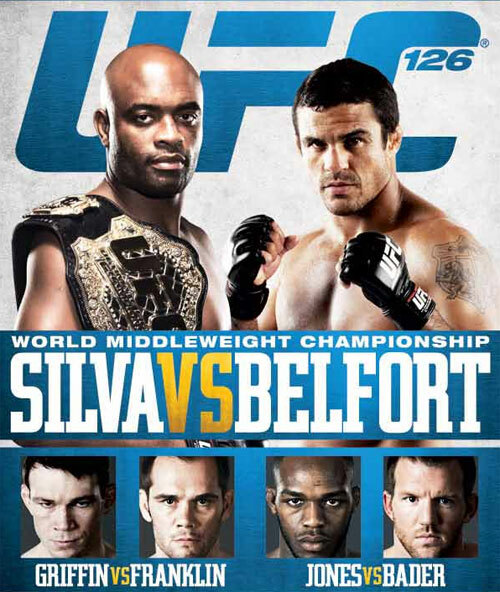 Anyone checking UFC 124 out? I will be. I post my thoughts tomorrow. Hope Koschek gets put into his place. Can't stand the jerk. Koschek get dominated like I said he would and like most people who talk ****, he simply had nothing left to say. GSP does what Couture did for a while, make the best game plans in MMA and follow them. And lol at Stevens getting KO by Mac Danzig. That was a good event, not the best I've seen, though.